Stoney Lake Entertainment has released the new full-length trailer for Left Behind, a reboot of the hugely popular novel adaptation from Jerry B. Jenkins and Tim LaHaye. 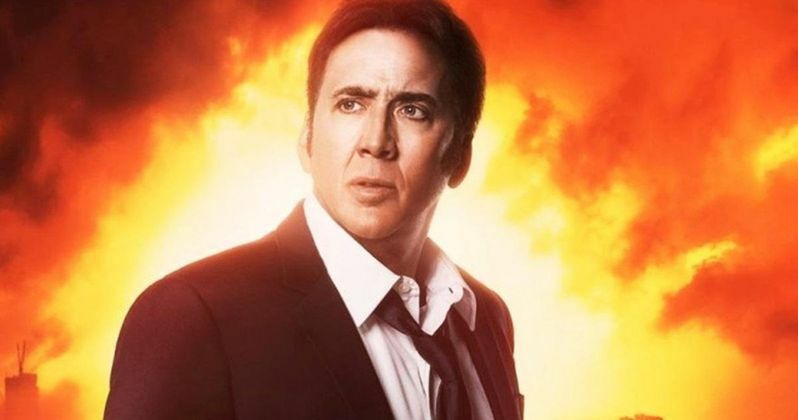 Watch the harrowing aftermath of the Rapture as commercial airline pilot Rayford Steele (Nicolas Cage) continues his latest mission despite a number of passengers mysteriously disappearing mid-flight. Back home, his daughter (Cassi Thomson ) is among those left behind in the wake of this biblical apocalypse, and the two struggle to find each other in a world surrounded by chaos. Is Nicolas Cage the savoir of humanity? Or is he just a man? Find out this fall when Left Behind arrives in theaters everywhere. Left Behind follows Rayford Steele (Nicolas Cage), who is piloting a commercial airliner just hours after the Rapture when millions of people around the globe simply vanish. Thirty thousand feet over the Atlantic, Rayford is faced with a damaged plane, terrified passengers, and a desperate desire to get back to his family. On the ground, his daughter, Chloe Steele (Cassi Thomson) is among those left behind, forced to navigate a world of madness as she searches for her lost mother and brother. The movie is based on the New York Times bestselling book series of the same name, co-authored by Jerry B. Jenkins and Tim LaHaye.